We have played this with lots of our friends and they all enjoy it. It is a fun quick game that is full of laughs. The only true way to play this game is be aggressive towards others in your card play. Throw down curses and steal their objects. A great game! The first of the regular munchkins expansions. This I think adds the least but is still one of the best adding a few races and some other then things a nice way to open few more doors. 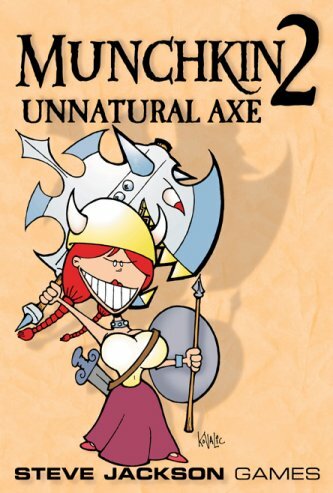 This is a must-have expansion for Munchkin. It practically doubles the deck from the original and adds lots of new items and monsters. Most importantly, however, it adds a new race for the players to pick - Orc. I can't imagine playing the base game again without this expansion.